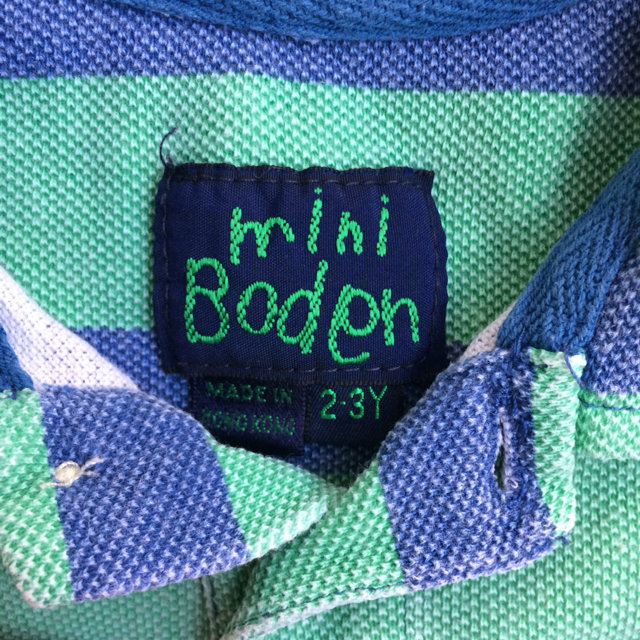 Quality striped polo from Mini Boden. 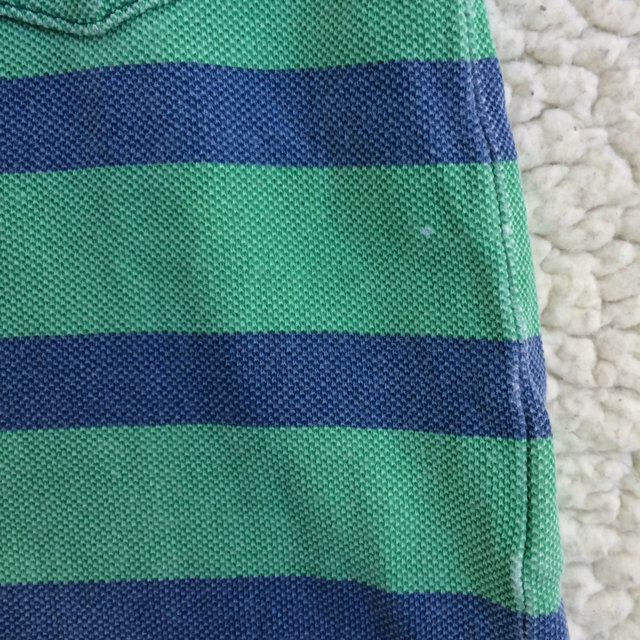 The fabric is thick. 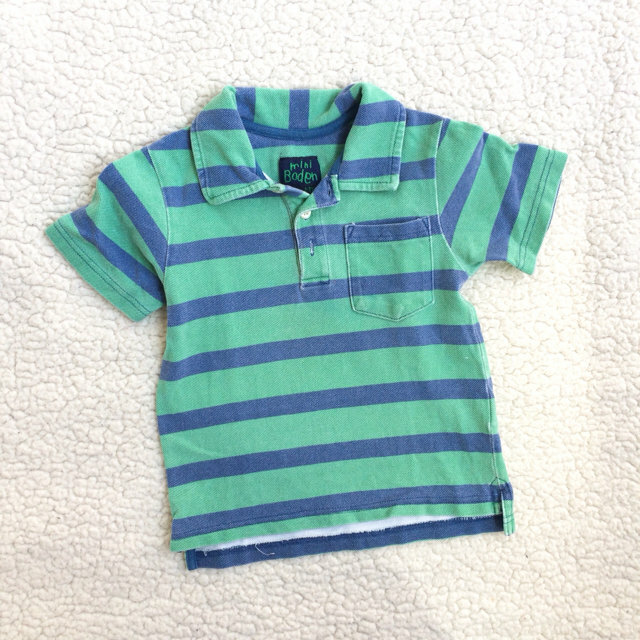 Size 2-3yr, seems to run on the bigger side of that for us. 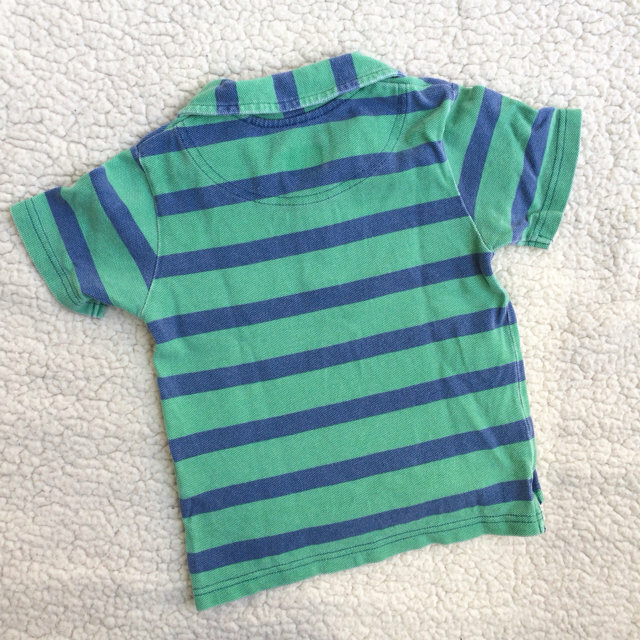 Green and blue stripes. So cute and classic! 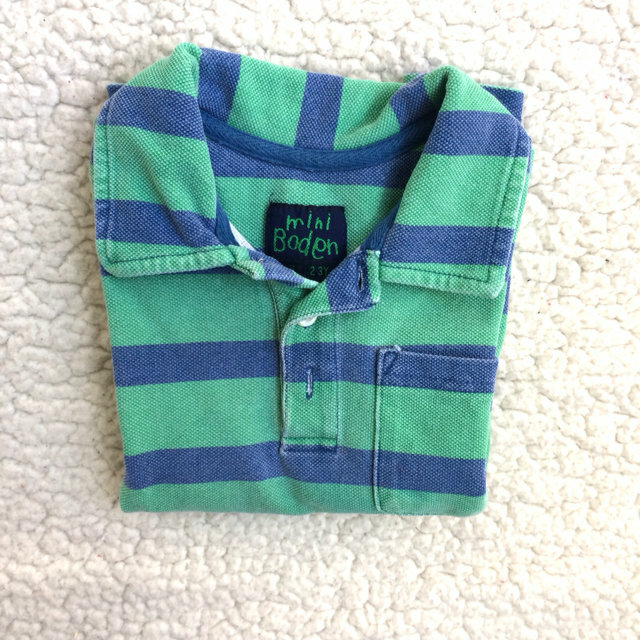 GUC for fading and wear, also some wear shown in photo on the side.